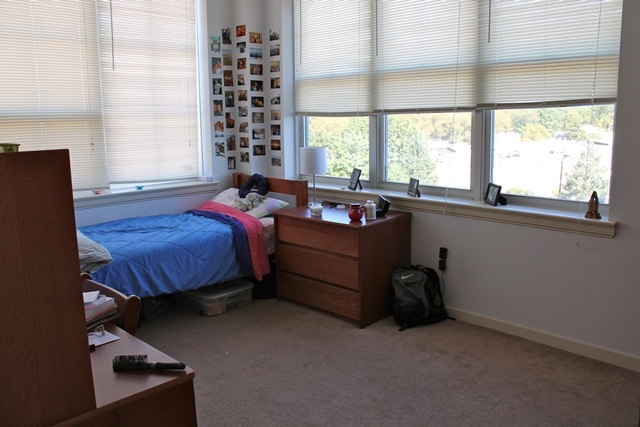 Schedule your visit to Philadelphia University today! Sometimes when you are just looking at colleges through printed books or websites, it’s hard to tell one from the other. To really see what a school is like and if you feel comfortable there, it’s best to visit. 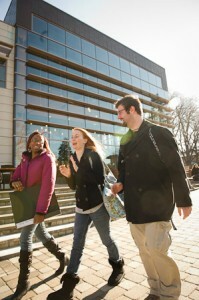 Visiting can help you to get a real sense of the campus and its community. 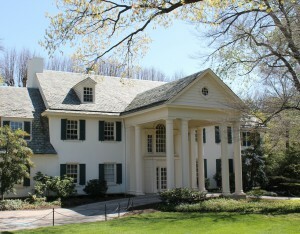 White Corners is home to the Office of Admissions. Join a small group of other visiting families and take a two-part tour of campus with one of our student Rambassadors. You will tour one half of campus for 45 minutes, meet with an admissions counselor for about 20 minutes, and then tour the second half of campus for approximately 45 minutes. You may also be able to schedule a meeting with a faculty member or athletic coach. At the Saturday Information Session, Admissions Counselors and current students will provide you with an overview of the admissions and financial aid processes, academic programs, student life, as well as internship and study abroad opportunities. You’ll also take a tour with one of our student Rambassadors which will last about 1 hour and 15 minutes. Our shadowing program provides students who have been accepted to the University with an opportunity to participate in the PhilaU student experience—attend classes, meet professors, eat meals in the dining hall, and spend time with current students. Shadowing appointments run February through April. Ready to schedule your visit? You can schedule online by clicking here. If you need additional information, please contact our Visit Coordinator, Patricia Coleman, at 215.951.2921 or 1.800.951.7287. Applying to colleges can be an intimidating process – if you let it be. It can also be a perfect time to stop and reflect on how far you have come, where you want to go and if you feel there are adjustments that need to made. Are you doing your best work? At PhilaU we treat your application as a way to get to know you and to help us to learn what brought you to this moment. What are you proud of? What would you have done differently? Most importantly, what have you learned to make the days ahead better for yourself and others with whom you interact? 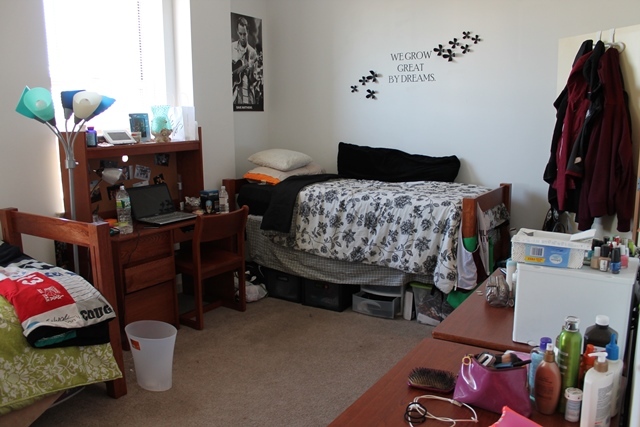 We aim to welcome students to PhilaU who are eager to better themselves and the world around them. Take some time to think and then apply to Philadelphia University. Calling all students entering in Fall 2017 who are interested in a career in design, engineering, or business! You are invited to visit Philadelphia University on Saturday, September 17, 2016 for our Kanbar College Scholarship Day. You will work on a collaborative group project with fellow prospective students and professors. You also have the opportunity to be considered for a full-tuition scholarship! To find out more information and to register click here. Please note that this event is only open to students who are interested in programs within Philadelphia University’s Kanbar College of Design, Engineering, and Commerce. If you have any questions, please contact the PhilaU Admissions office at 215-951-2800 or Admiss@PhilaU.edu. 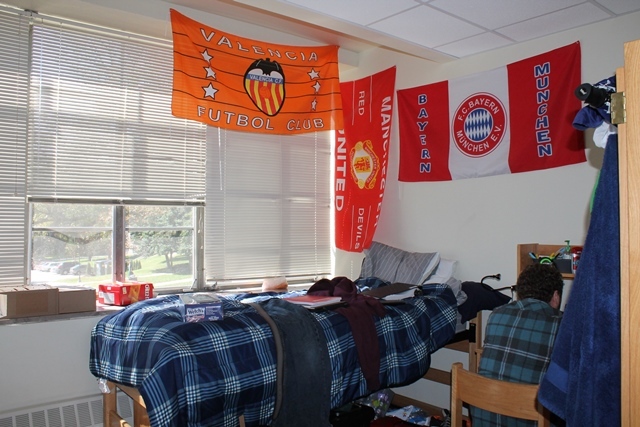 It’s been a very busy week on campus for new students. 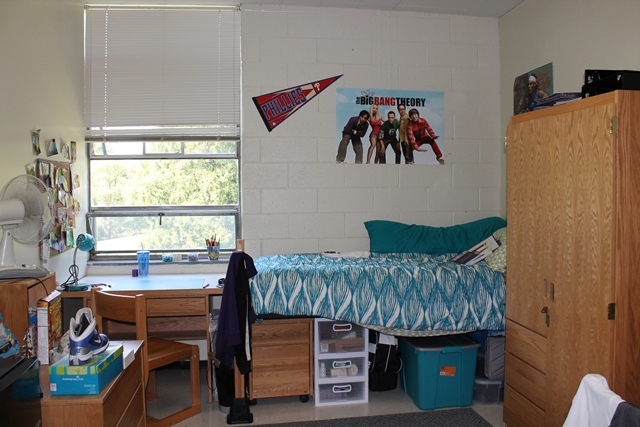 Getting moved in, settling in, meeting your fellow classmates, finding your classes, and many other new experiences. It can be a lot. Hopefully, as you start getting used to your routine, you also begin to feel more at ease. Believe me – this will feel like home very soon. With anything in life – what you put in, is what you get out. You get to choose. I suggest you pay attention to what you put in. Take that step and you won’t regret it. 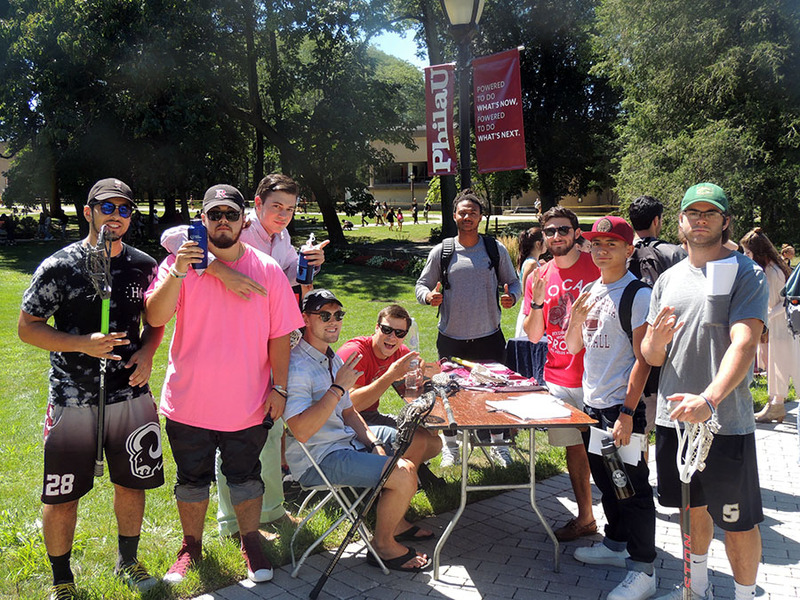 One way – possibly the biggest way – of acclimating to PhilaU, is getting involved. Get involved. In something. In anything. If you attended the Involvement Fair today, you saw there are many, many clubs and organizations you can join. Do you like to play sports? Check. Do you like to act? Check. Do you like to do community service? Check. If you have an idea for a club – start one. Go see the good folks in Student Activities. 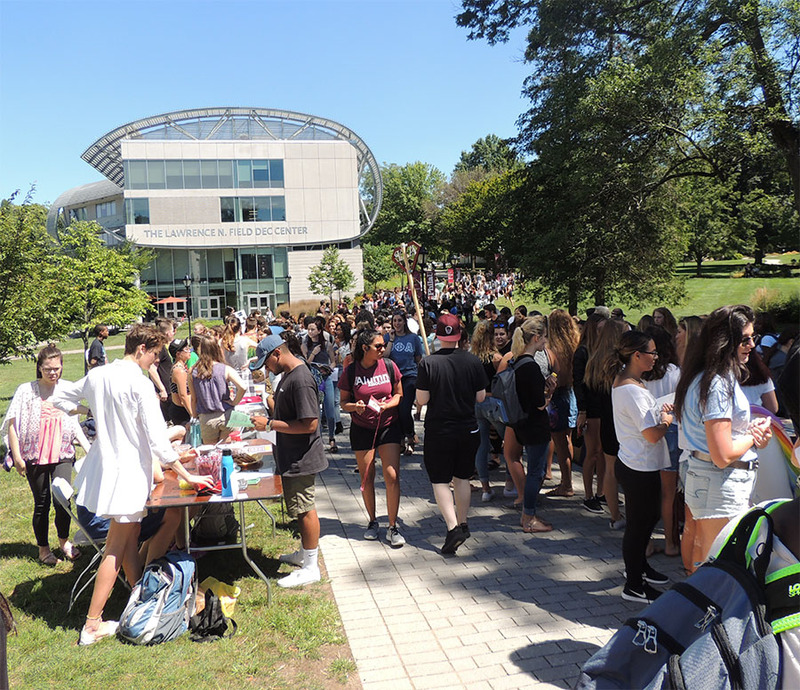 Believe me, we are not trying to rush summer along, but we just wanted to make sure you had a little help with making those decisions about what to bring to PhilaU. When comparing financial aid packages from different schools, you need to make sure you understand just what it is you are looking at. Not all packages are the same and it can be difficult to compare “apples to apples” without some knowledge of Financial Aid. We recently hosted a webinar offering helpful tips about how to read your financial aid packet. If you were unable to watch, you can still watch a recording of the webinar here. Would you like some one-on-one time to review your financial aid package with a counselor? Feel free to give us a call at 800-951-7287 and ask to speak with your Admissions Counselor. The more you know, the better you can understand financial aid. Accepted Students: Shadow a current student! Congratulations to all of our accepted students! 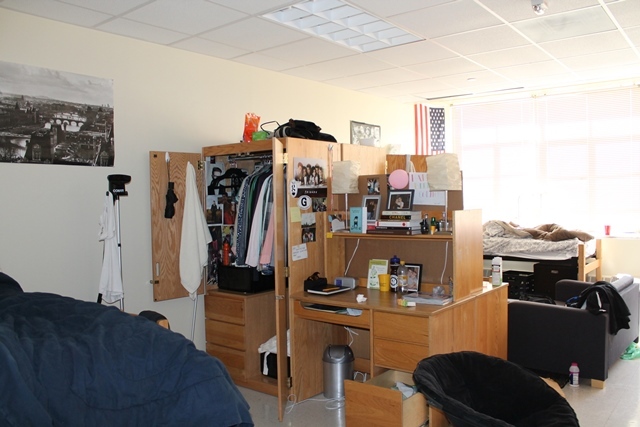 Whether you’ve already decided that PhilaU is the place for you or you’re still making your decision, we have a great opportunity to get a closer look at what it’s like to be a student here! Each February-April, we offer accepted students the chance to shadow a current student in your chosen major. Your student host will take you to class, lunch, and maybe even some student activities that may be going on during the day! You can choose the day and we will match you up with one of our host students. You can come for a full day or half, whatever works best for your schedule. Many of our student hosts went through this shadowing program as prospective students as well. They found that shadowing really helped them make their college decision and would like to help future students get a better feel for the university. Choosing a college is an important (and sometimes scary) decision to make. We want to make that decision a lot less scary and make sure you have the best visit possible! If you are interested in signing up for the shadowing program, you can click here to submit your request. If you are interested in other types of visits (including our Open House on April 16, 2016), click here! Attention prospective students: Have you filed the Free Application for Federal Student Aid (FAFSA) yet? If not, get started now! Philadelphia University is offering an early FAFSA filer incentive. If you file your FAFSA by March 1, 2016 and list Philadelphia University’s school code (003354), you will receive an extra $1000 grant from the university! This award is renewable every year. The FAFSA has the word “free” in it, so make sure you visit www.fafsa.ed.gov to complete your FAFSA. Do not use a .com site. If the site wants to charge you to file, leave fast. Over 80% of the FAFSA answers can be found on the 1040 form. So, you should file or estimate your taxes before starting the FAFSA. Don’t think you will qualify?—file anyway! PhilaU uses FAFSA information to consider you for need based and non-need based aid. Even if you only receive Federal Student Loans, these loans often carry lower interest rates than private loans. Don’t forget to add PhilaU as a FAFSA recipient. Philadelphia University’s school code is 003354. Still want more help? FAFSA provides excellent advice on Twitter and Facebook. If you have any questions about filing the FAFSA, please email FinancialAid@philau.edu. 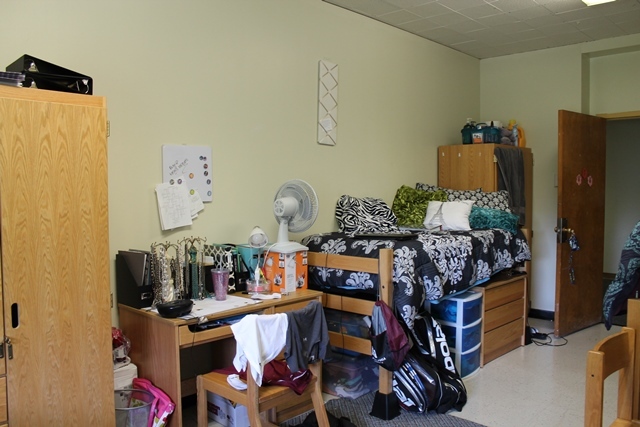 Attention all incoming Fall 2015 students: Below is a list of reminders of items you need to do prior to arrival. July – If you took any AP exams, please send us your scores through College Board for us to review. July – FERPA release form must be submitted if you want a family member to be able to call PhilaU on your behalf with questions about Financial Aid or bills, you must complete this release form. Still have more questions? 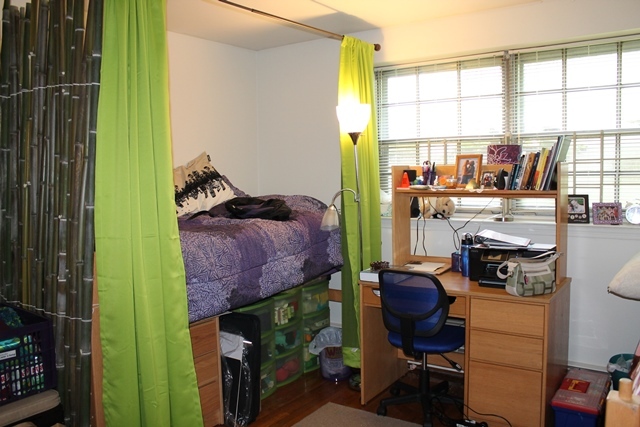 Please call the Office of Admissions at 215.951.2800 and ask to speak with your admissions counselor. 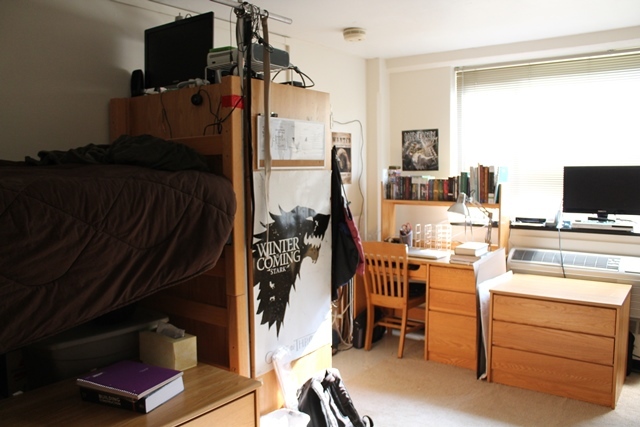 Curious what the residence halls at Philadelphia University are like? Here are some pictures and facts that will help you out! 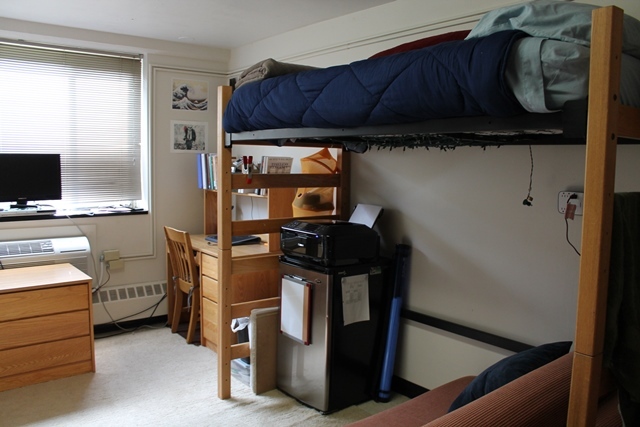 For the 2015-2016 school year, first year students will live in Partridge Hall, Fortess Hall, or Ronson Hall. 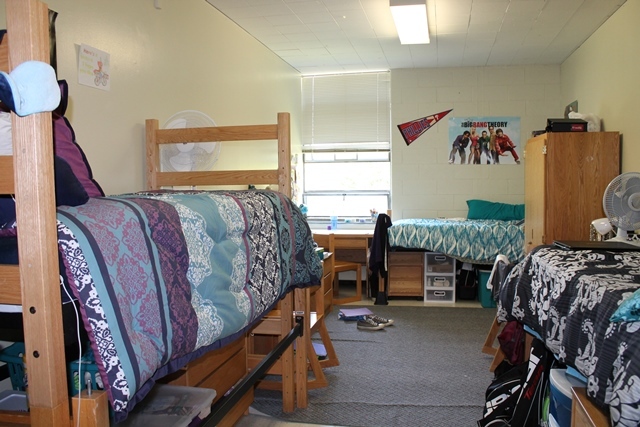 Partridge Hall is a three-story, coed building housing freshmen students. 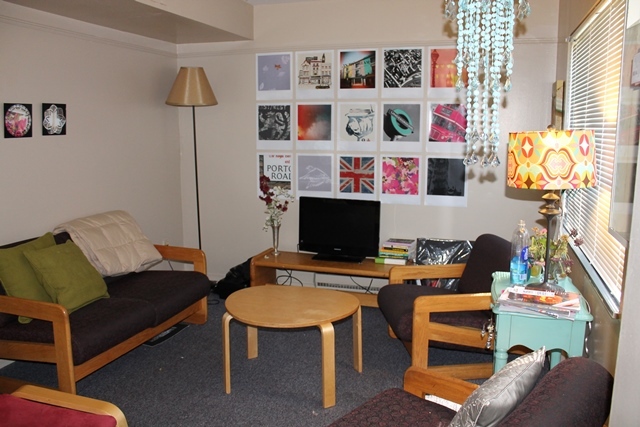 Partridge is coed by floor, housing women on the first and third floors, and men on the second floor. 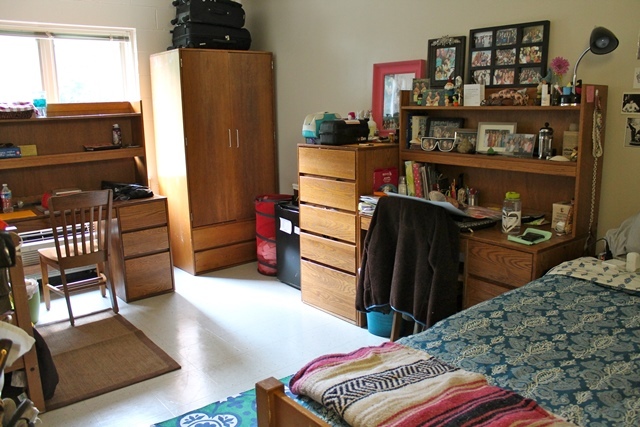 Partridge has rooms for one to four students and a total of 65 residents. 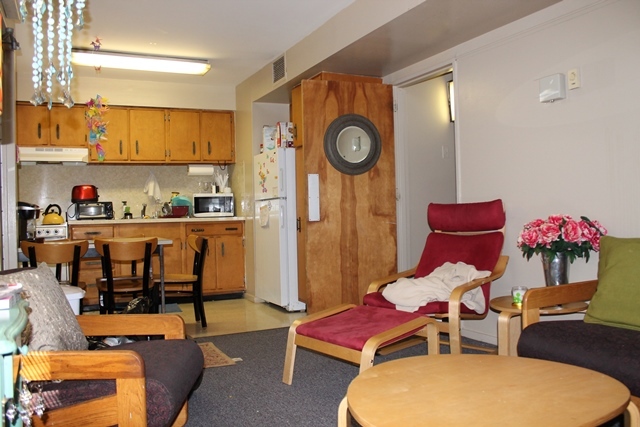 The building features a social lounge, kitchen and laundry facilities and common-area bathroom facilities. 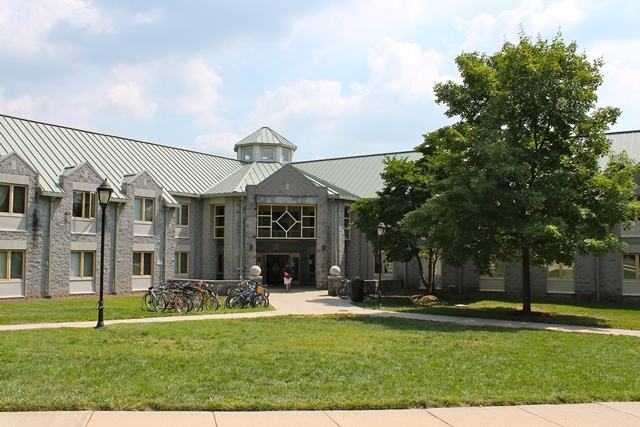 For the 2015-2016 school year, Partridge Hall will be exclusively for students in the Honors program. 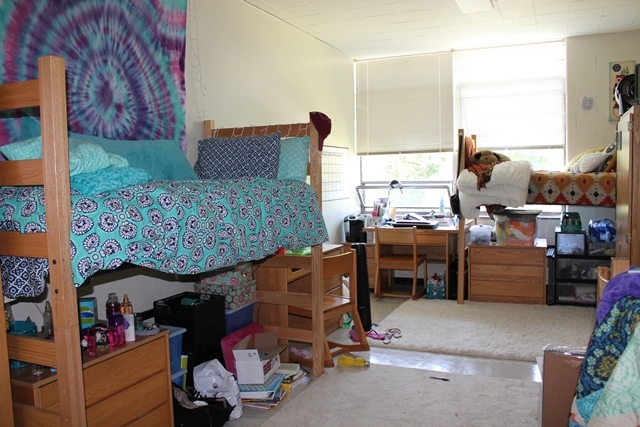 Fortess Hall is a three-story building housing freshman women. 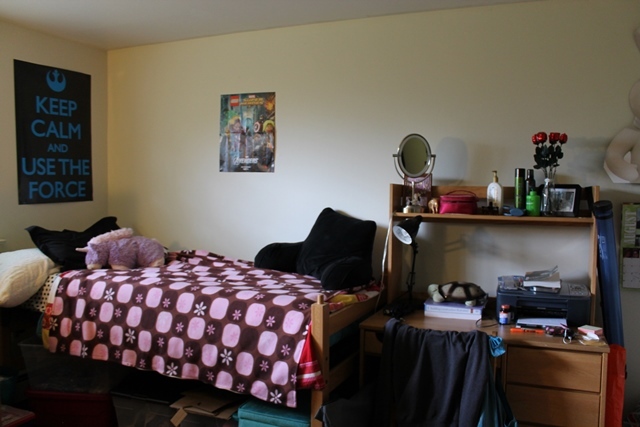 The building’s 181 female residents live in one- to four-person occupancy rooms. 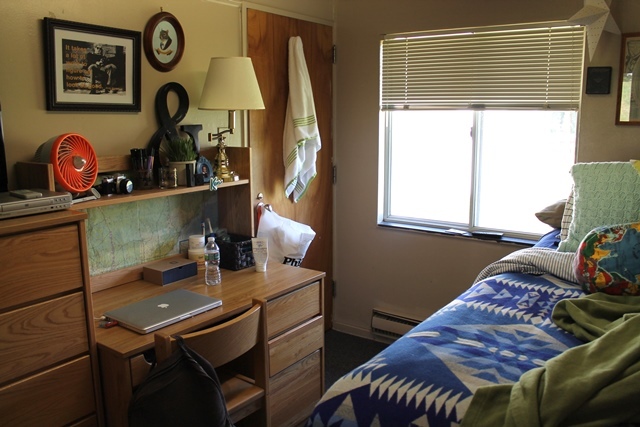 The hall includes a study lounge, laundry facilities and common-area bathroom facilities. 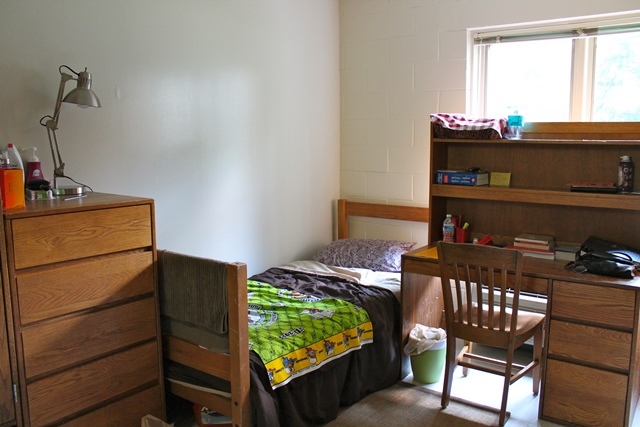 Ronson Hall accommodates 309 residents in five sections called “houses.” Each house has two wings with predominately two-person rooms, a community kitchen/social lounge, and common-area bathroom facilities. Three houses are coed with a wing each for men and women, one house is all male and one house is all female. 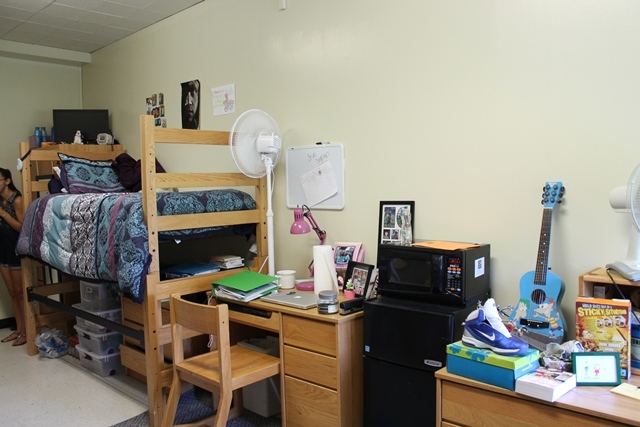 Ronson Hall is air-conditioned and features laundry facilities on the basement level. 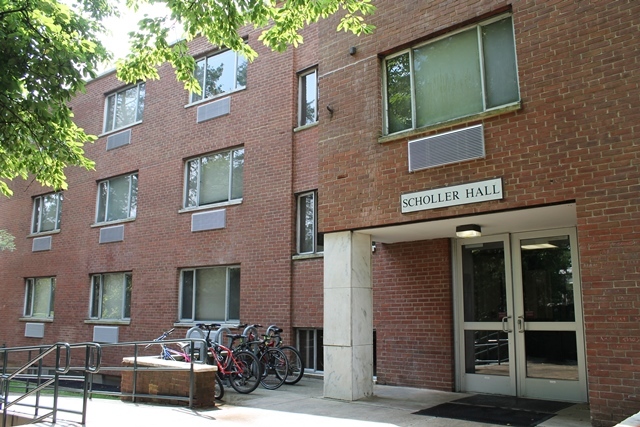 Scholler Hall is a traditional, coed residence facility with predominantly two-person rooms for a total of 149 residents. 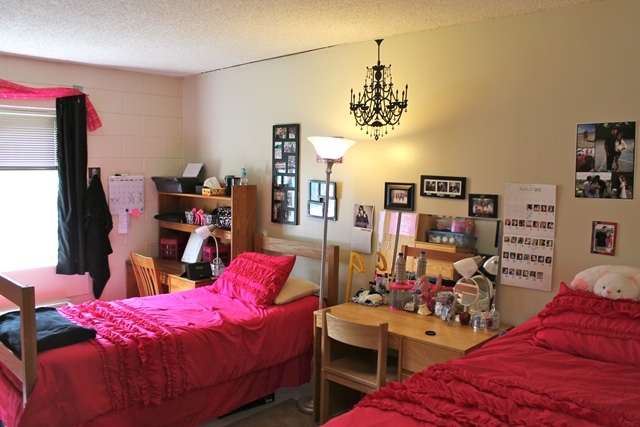 Each floor includes a study/social lounge and common-area bathroom facilities. 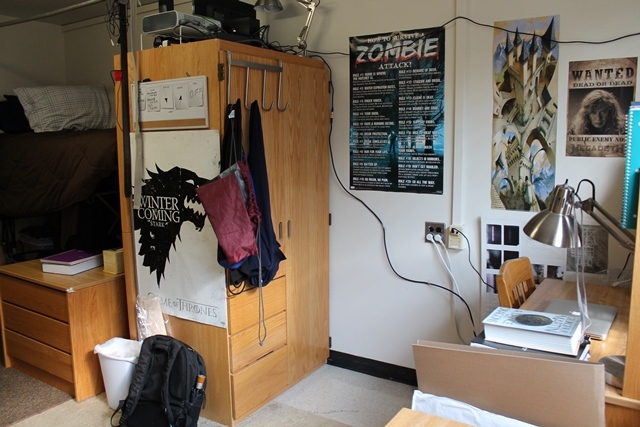 Scholler has vending machines located in the lobby and laundry facilities. The Townhouses are three-level units housing upper-class students. 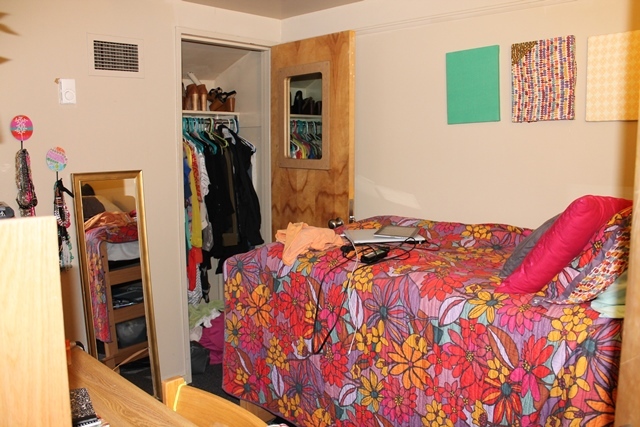 Each townhouse includes five single-occupancy bedrooms, and a shared bathroom, living/dining room and kitchen. 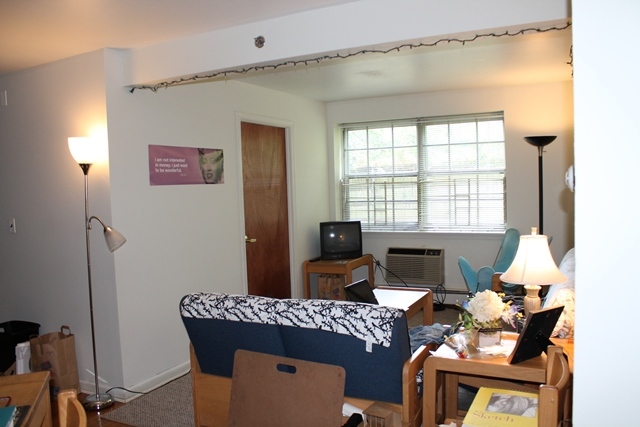 The facility is furnished and air-conditioned. 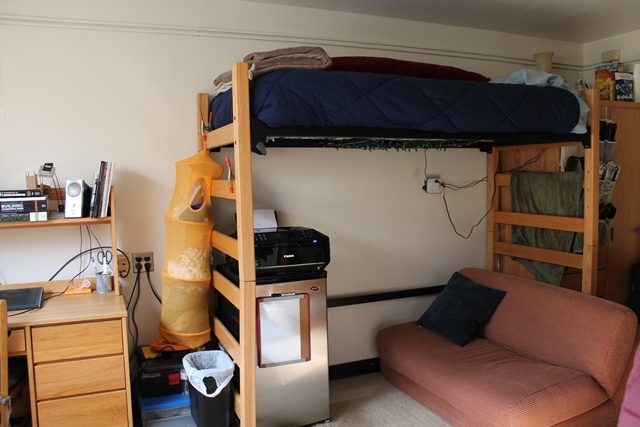 Laundry facilities for the townhouses are located in Scholler Hall. 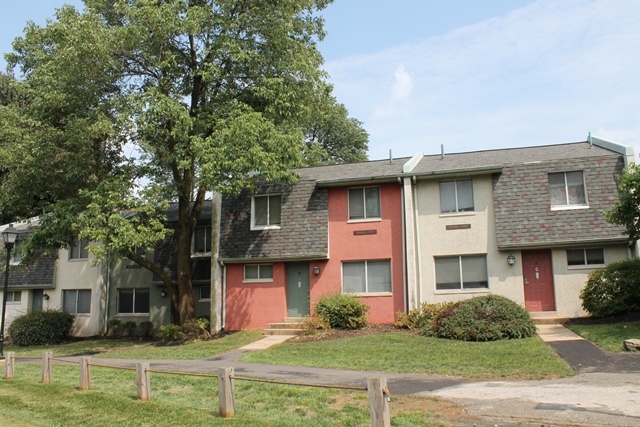 Independence Plaza is a three-building apartment complex housing upper-class students. 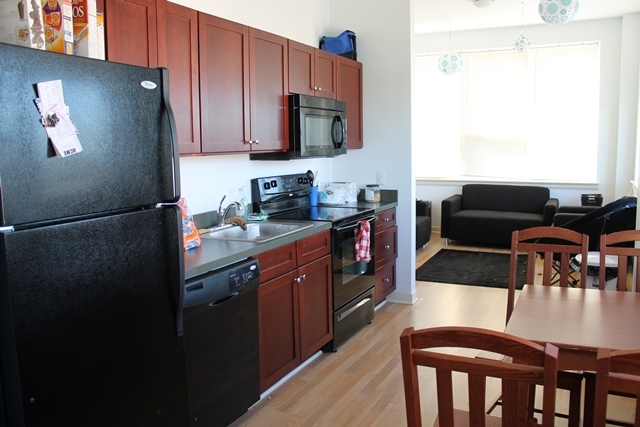 The furnished apartments range from three- to four person occupancy and two to four bedrooms. 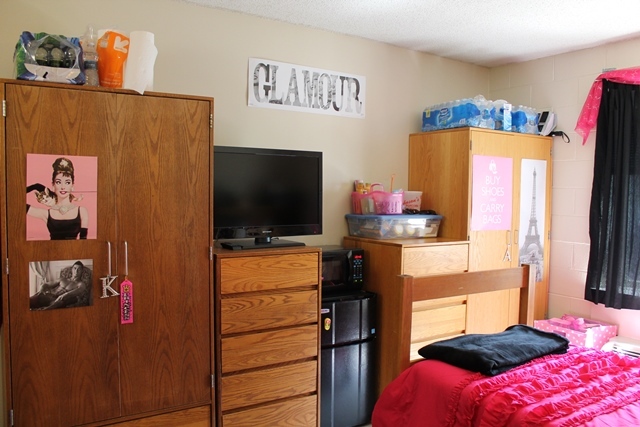 Each building has laundry facilities for residents’ convenience. 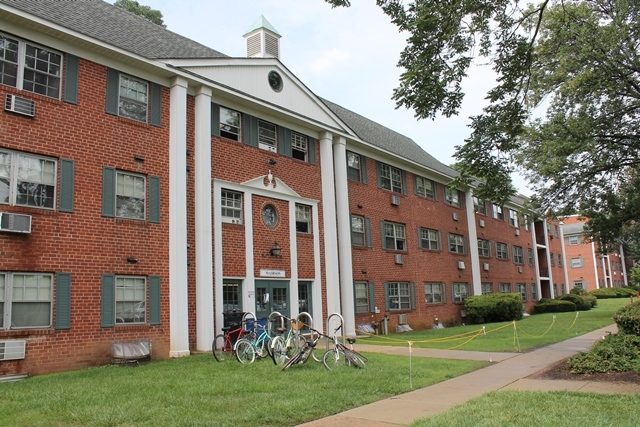 The Philadelphia University Residences at Falls Center house more than 350 PhilaU students in this newly renovated, multi-purpose site less than 1 mile from campus located at 3300 Henry Avenue. 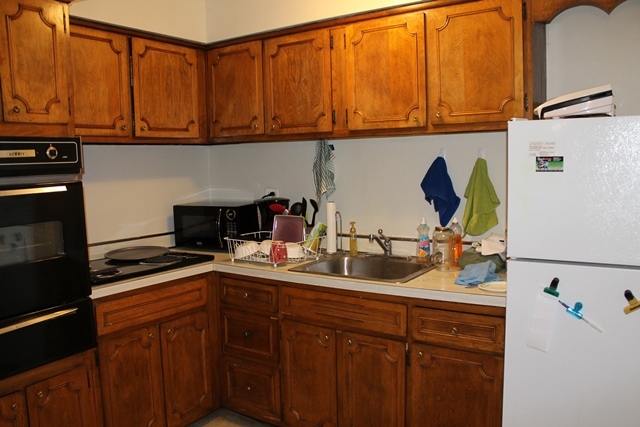 This upper-classmen housing facility features beautiful, new open-concept apartments that have living rooms, contemporary kitchens with dishwashers, private bathrooms, and wireless internet. 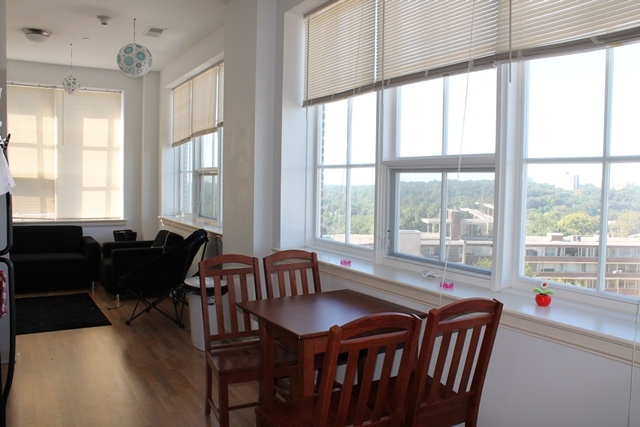 The apartment layouts are unique and offer a variety of selections including, one bedroom units for one person, studio units for two people, two bedroom units for three people, two bedroom units for four people, and three bedroom units for five people. 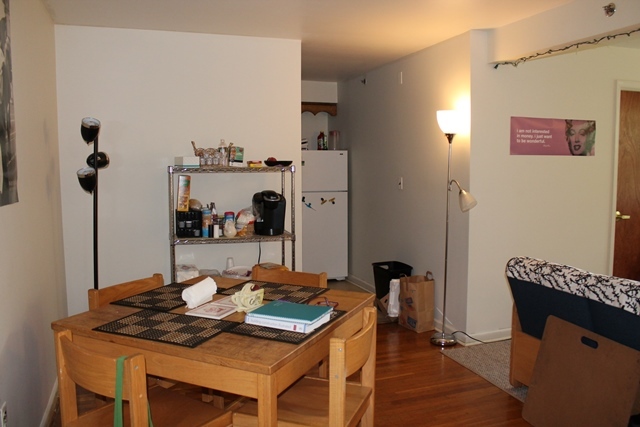 Click here to view apartment layouts. 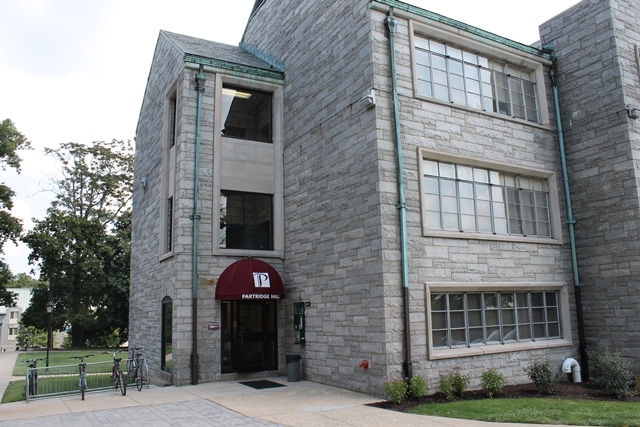 Residences at Falls Center also has an auditorium for curricular and co-curricular programs, access to an on-site café and coffeehouse, space for design and project work and co-curricular activities, shuttle service to Main Campus, 24-7 campus facility support, security, free laundry facilities, on-site parking, a social lounge and a convenience store. Questions? 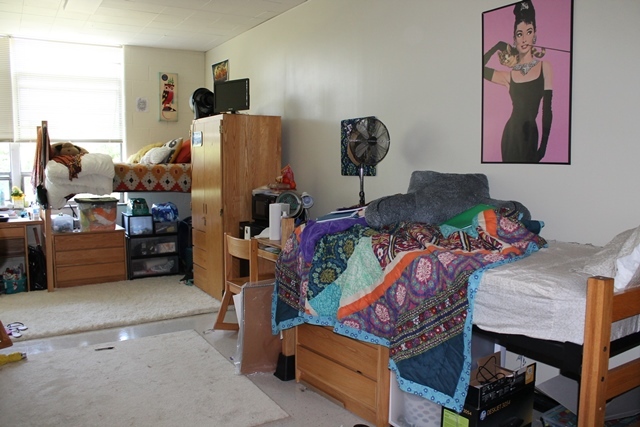 Please reach out to Residence Life at 215-951-2741 or ResLife@philau.edu.